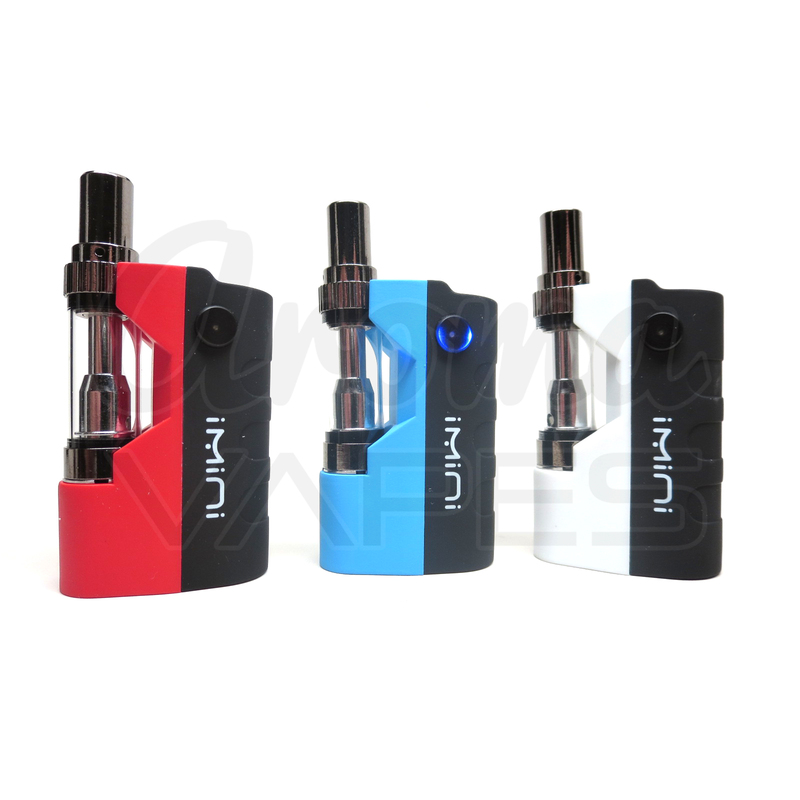 The iMini by Plutotech is a unique and powerful, yet super-compact (48mm x 30mm x 16mm) kit for use with essential oils. 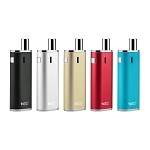 Despite its truly miniature stature, the iMini sports a 500mAh battery and has a direct output of 15w. Its 510 threading ensures virtually universal compatibility with the wide range of industry standard cartridges on the market. 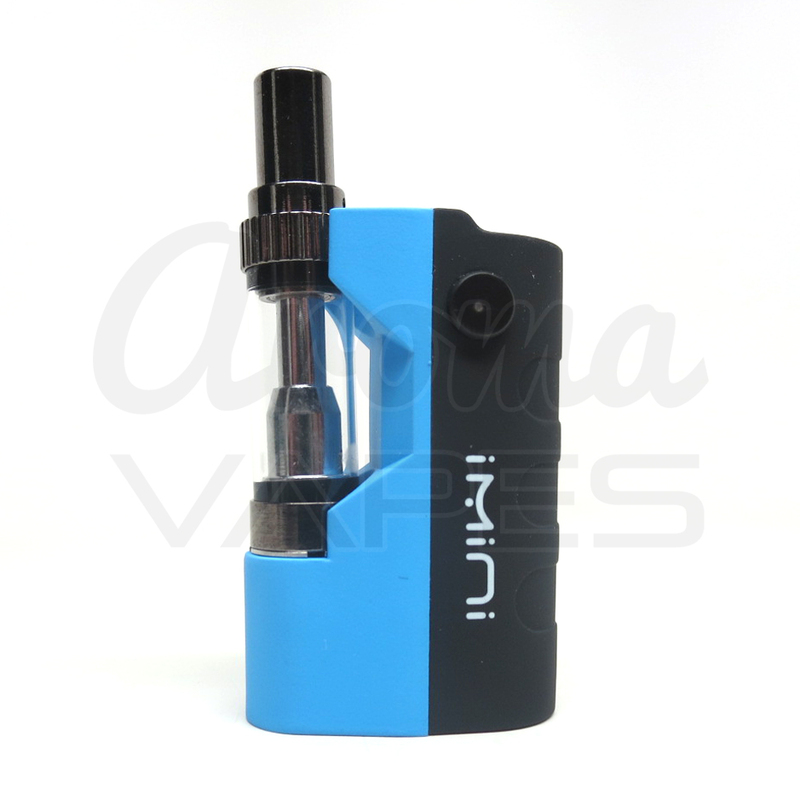 The iMini holds your cartridge securely while the tank seemingly "floats". 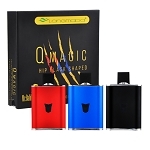 Its open design allows you to see at all times the liquid level in your tank. 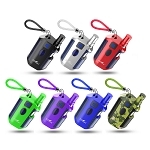 Its exterior features a rubberized design to protect from bumps and bruises while being extremely comfortable to hold while using. 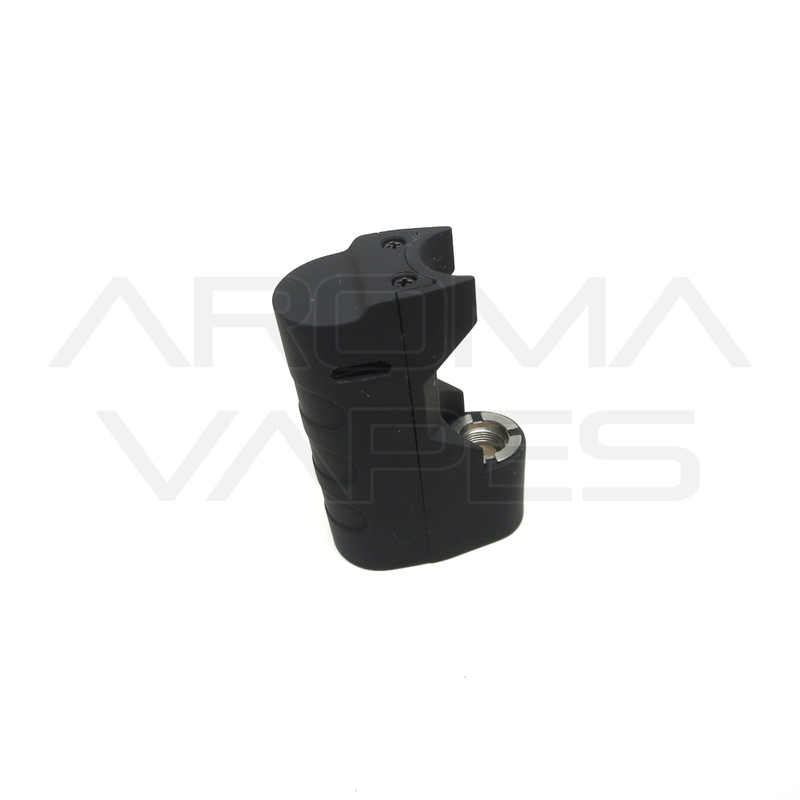 A blue LED light under the fire button will let you know when the device is locked, unlocked, or in use while firing. To lock or unlock the iMini for use, simply tap the power button 5 times in quick succession. 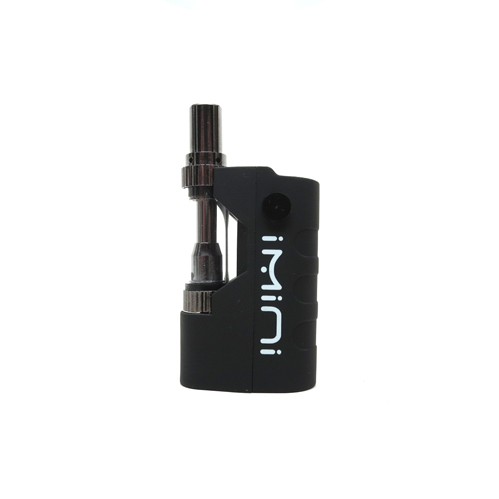 While in use, the iMini will pause heating and flash after 10 seconds to prevent the battery from overheating. 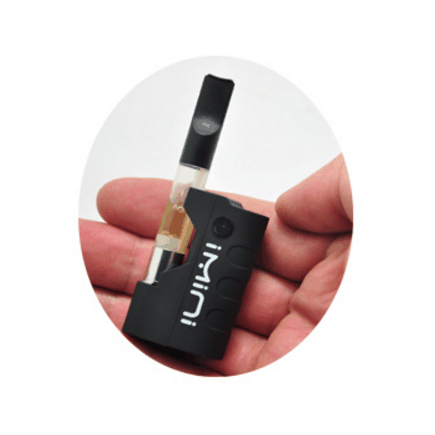 The iMini also features a unique (and optional) preheating function. To activate warm up mode, first tap 5 times to unlock the battery for use. Once unlocked, tap the button once and preheat mode will activate. The power button will flash repeatedly while it warms up the cartridge. To deactivate preheating, simply tap the button once at anytime after it has been activated. If you do not want or need to preheat your cartridge, press and hold the button to use as normal after unlocking (rather than tapping the button once). Preheating is optional, it is not required and in most cases is not necessary. 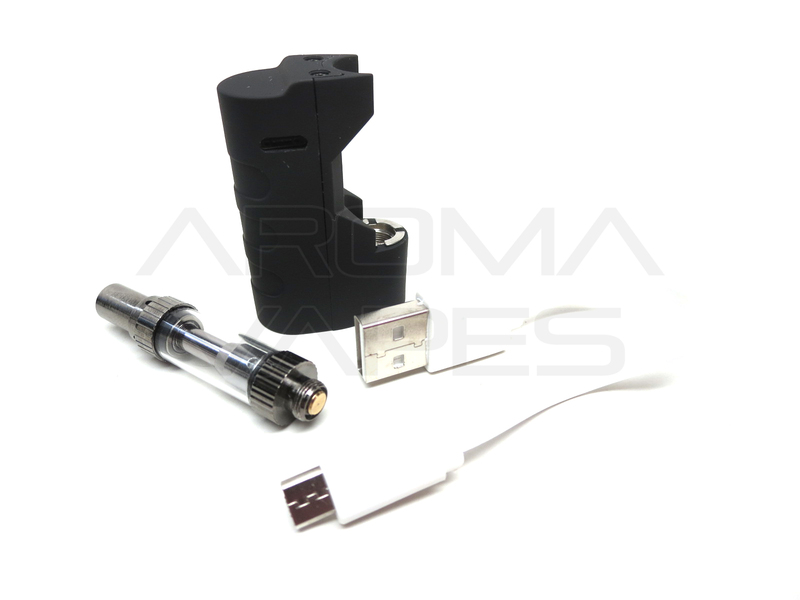 The included refillable tank features a 1.8mm port for compatibility with essential oils of varying viscosity (thickness). 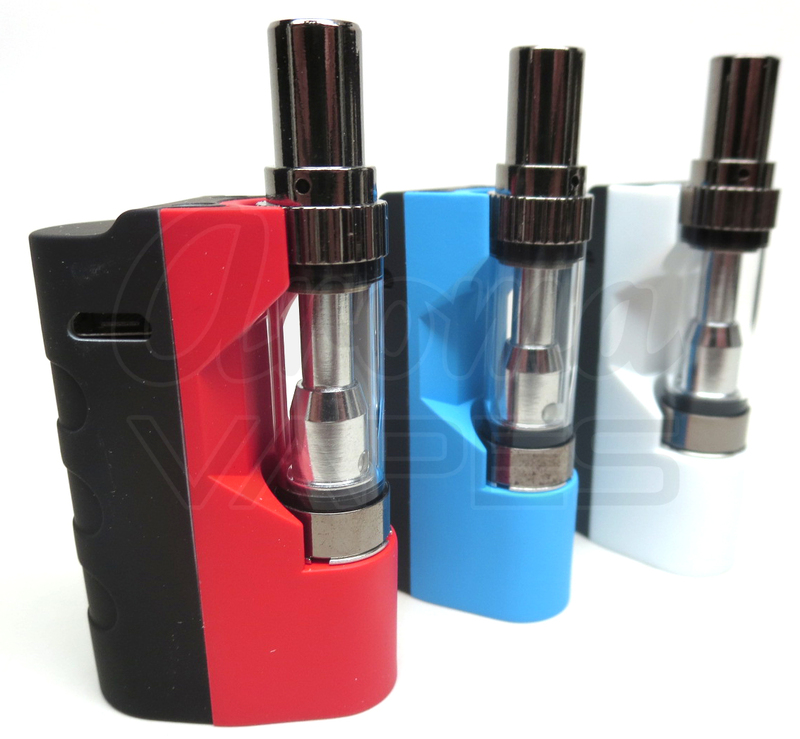 It sports a wickless, center post design and glass tank in addition to top airflow design. 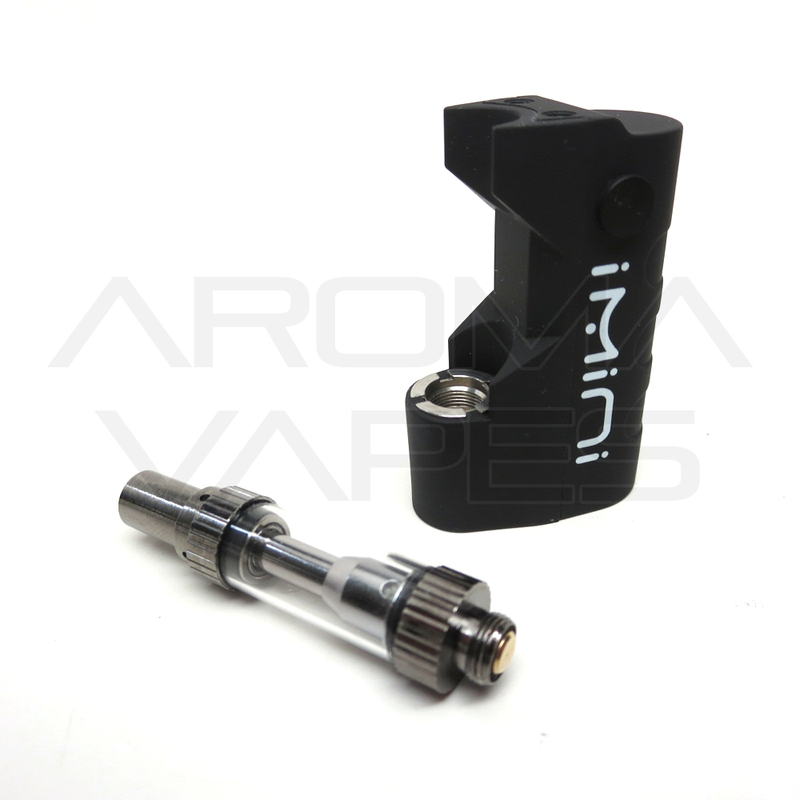 The iMini is also compatible with virtually any other 510 thread cartridge designed for essential oils that uses a common 510 thread and is not wider than ~10mm (vast majority of models). It fits in my pocket and I like how small it is compared to others. 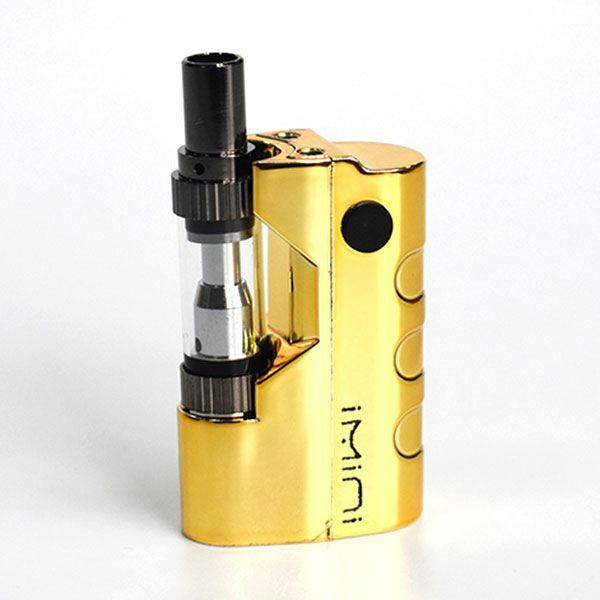 Q: Where do I buy the cartridges for the Pluto iMini? 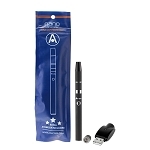 A: The Pluto iMini can be used with most standard 510 thread prefilled or reusable essential oil cartridges. 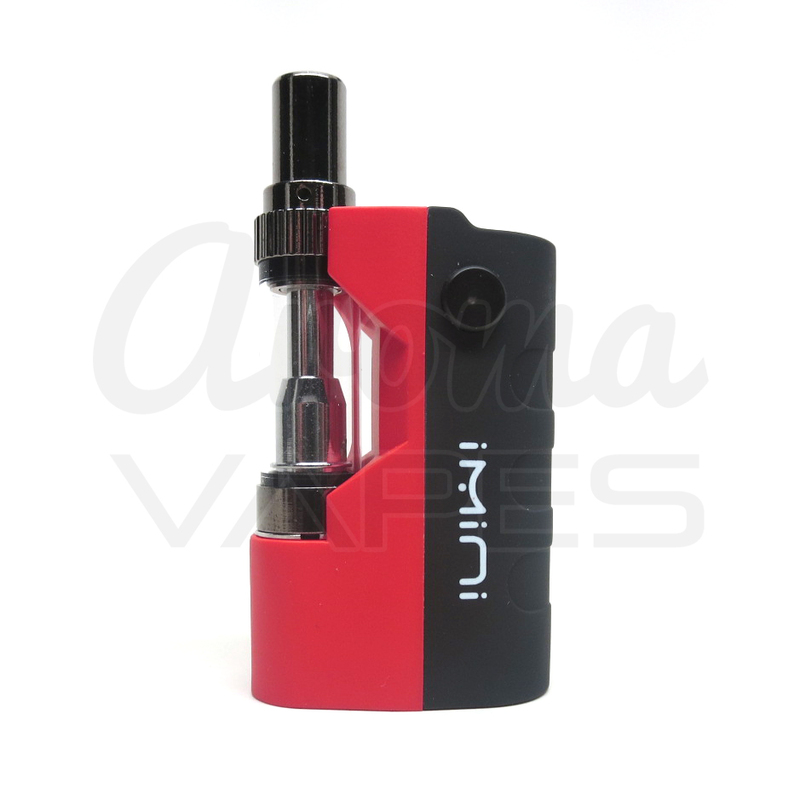 The iMini Kit includes a special refillable wickless glass cartridge with top airflow which we highly recommend. It can also be purchased separately. Was this answer helpful? 3 of 15 Customer(s) found this Answer helpful.